Returning to screens on Christmas Day, it’s all change for Matt Smith’s Doctor with a new costume, a new hat and minus Amy Pond. Here he talks about what fans can expect from this festive treat and family tradition. "Lots of snow and a rather good villain." Matt is chatting enthusiastically about this year’s Christmas special, The Snowmen. Set in a Victorian snow-covered England, the episode opens with the Doctor feeling more ‘bah humbug’ than festive, as he struggles to get over the loss of his companions the Ponds. "He is slightly removed and not at his best," explains Matt. But after the Doctor meets a feisty young governess, Clara, played by Jenna-Louise Coleman, do we see a change in the Doctor? "You get to see a different side to him," Matt explains. "She is a very different to Amy Pond. That is the great thing about this show," he continues, "reinvention - it keeps me as an actor on my toes!" 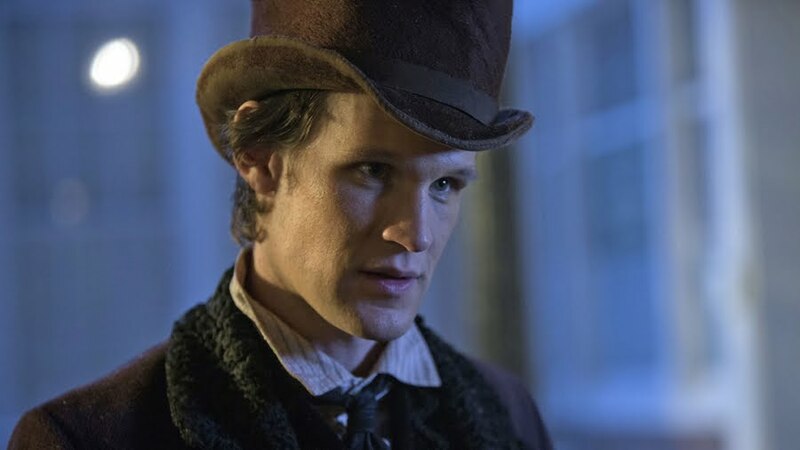 As well as seeing Matt Smith’s Doctor for the first time without his old companions, Matt will be sporting a new costume, complete with top hat. "It is a bit like the Doctor meets the Artful Dodger," says Matt. So can we expect to see a period of grieving following the loss of the Ponds? "Grieving has its place," says Matt, "but it is important to show that and then propel back into adventure!" And that is exactly what this Christmas special does. Matt reveals that this Christmas the Doctor will embark on a dangerous adventure – a quest that leads him to Darkover House, where something sinister is lurking. As well as guest starring Tom Ward (Silent Witness), Richard E Grant features as this year’s villain, Doctor Simeon. "He was a delight and brilliant at being villainous. Some actors are just made for the show and he was one of them. And he looked wonderful in Victorian garb," says Matt. Now a family tradition, Matt is chuffed to be part of the Christmas special. "I love being part of them. Family TV on Christmas day is a great tradition and Doctor Who is at the heart of that." So will Matt be making an appointment to watch on Christmas day? "Absolutely, I can’t wait." special 'The Snowmen' at 5.15pm on BBC One.